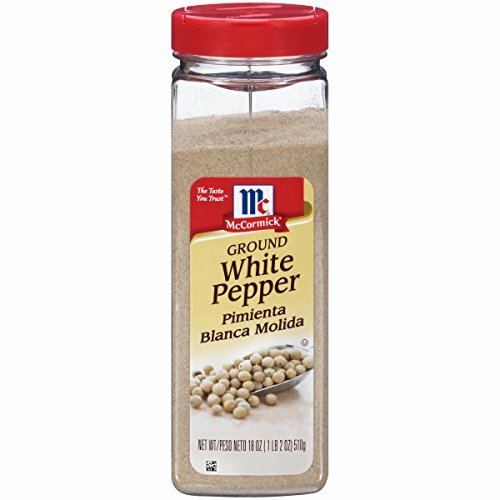 No kitchen should be without McCormick Pure Ground White Pepper, which can be used as an alternative to salt due to its tangy flavor and lighter color McCormick’s White Pepper Powder is the perfect alternative to black pepper for white or lighter-colored foods like mashed potatoes and soups, or roux and béchamel. This premium-quality spice can be used to take cream-based soups and sauces to the next level. Add additional flavor and heat to your fish and chicken to deliver intensely fresh, mild pepper flavor that the whole family will love. The options are endless!